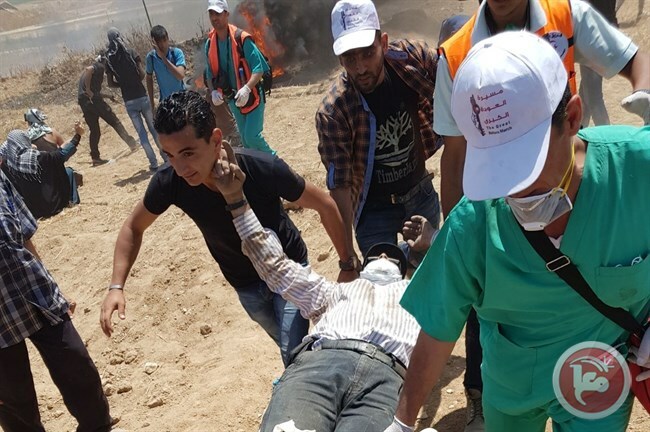 On May 14, 2018, an Israeli sniper shot Dr. Tarek Loubani in the leg near the separation fence, one of 25 medical workers and first-responders injured by live fire in demonstrations in Gaza between March 30 and June 2, according to Gaza’s Health Ministry. Loubani wrote that, when shot, he too was clearly identifiable as a doctor, and that most paramedics were wearing bright, fluorescent jackets. He said there were no protests, fire, or smoke in his immediate vicinity, and he and his colleagues were standing still and talking. According to Loubani, one hour later, the paramedic who had rushed to his aid, Musa Abuhassanin, was shot in the chest and killed by Israeli fire while assisting in another rescue. Lifting Israel’s closure of Gaza and the accompanying indiscriminate restrictions on the movement of people and goods would mark a major step in that direction. Accountability for serious abuses would be another; the Commission of Inquiry set up by the UN Human Rights Council to examine the killings in Gaza should investigate the attacks on medical workers. Michelle Lonnquist , @MMLonnqui, is the New York-based associate for the Emergencies division of Human Rights Watch. Prior to joining Human Rights Watch, Michelle worked at the Atlantic Council’s Rafik Hariri Center for the Middle East. She received her BA in International Relations from Boston University, and earned an MSc from the University of Edinburgh in International Relations of the Middle East and Arabic. Michelle speaks English, French, and Arabic.